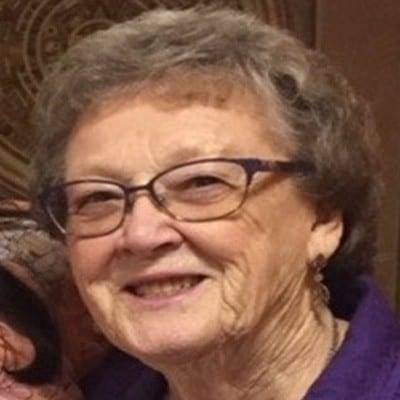 Lorene Connin Neifer-Miller, age 87, of Wauseon, passed away at her residence on Tuesday, April 2, 2019. She was born in Wauseon on February 23, 1923, the daughter of Clifford Connin and Thelma (Mills) Connin. Lorene graduated from Wauseon High School in 1950 and married Mel Neifer in 1950. He preceded her in death in 1996. She then married Donald Miller, and he preceded her in death in 2009. A memorial service will be held on Saturday, April 6, 2019, at the True North Church, 850 W. Elm St., Wauseon, at 11:00 AM, with family friend Bill Downing, officiating. Private interment will precede services. The family will receive visitors on Friday, April 5, 2019, from 3:00 PM until 7:00 PM, also at True North Church. Those planning a memorial contribution in Lorene’s memory are asked to consider the Wauseon Athletic Boosters or the Wauseon Fire Department. Online condolences to the family may be offered at www.GrisierFH.com. The Edgar-Grisier Funeral Home in Wauseon is honored with Lorene’s care and arrangements. Be the first to comment on "Lorene Neifer-Miller (1923-2019)"